Joe Hampton served at his last school board meeting Feb. 6, 2012, following about 30 (non-consecutive) years helping guide the school's direction. Jana Oder will be sworn in as the new seat 2 school board member in March 2012. She filed for the office in Dec. 2011 and was unopposed. Three city officials were sworn in at the May 3rd, 2010 City Commission meet. Mayor Stan Sallee (left) had just won re-election for his final 2 year term. Sallee apparently has plans on a state-level candidacy and did not re-file for mayor in 2012. Sherri Davis (Doolin) was starting a 4 year term as Ward III commissioner. Davis resigned in January 2012 and was replaced by Larry Shafer. Dee Sink started her first 4 year term as commissioner of Ward IV in 2010. The city lineup (until May 2012) L-R: City Clerk Angela McGinness, Commissioner Dee Sink, Commissioner Larry Shafer, City Manager Pam Polk, Mayor Stan Sallee, City Attorney Ken Underwood, Commissioner Bud York, and Commissioner Pam Porter. Larry Shafer was appointed by the city commission to fill the vacant Ward 3 commission seat in January 2012. Larry filed (in February 2012) and was unopposed to continue in that capacity. Bud York was also unopposed to remain Ward II Commissioner for 4 more years. Ward I will have a new commissioner for the first time since 1996 as Pam Porter filed for mayor instead of commissioner. 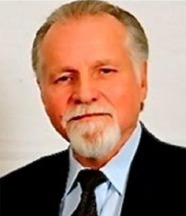 Herb Weaver serves on the City Board of Adjustments.